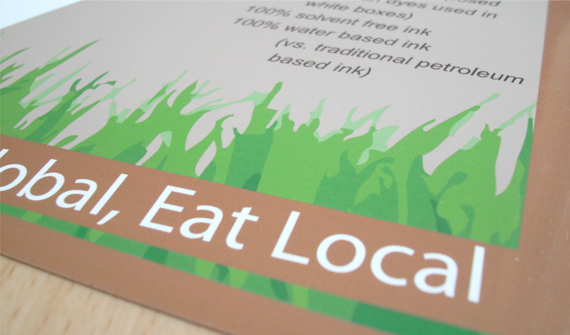 We recently designed leaflets for Freeport paper. 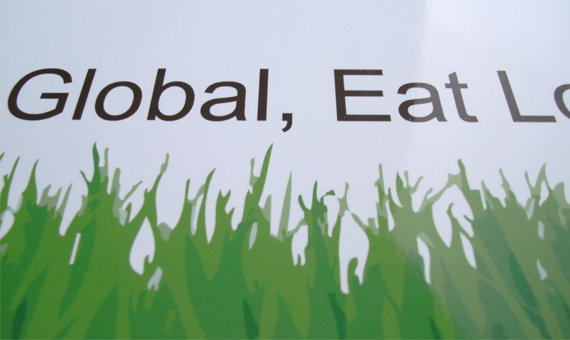 The campaign targeted sustainability of both food and the packaging it comes in. 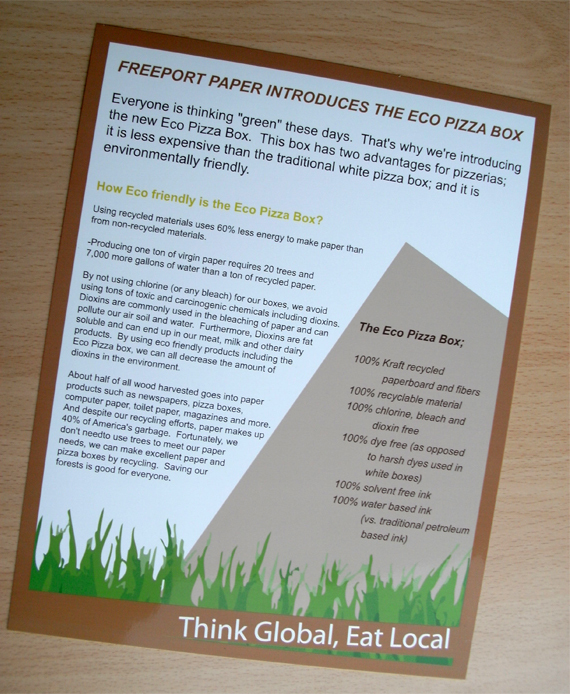 The slogan ‘Think Global Eat Local’ is prominent on the leaflet design and advertises a proposal to produce a sustainable pizza box made of recycled materials. Colours chosen revolved around natural tones and shades. Browns and greens work well and help get the message across. 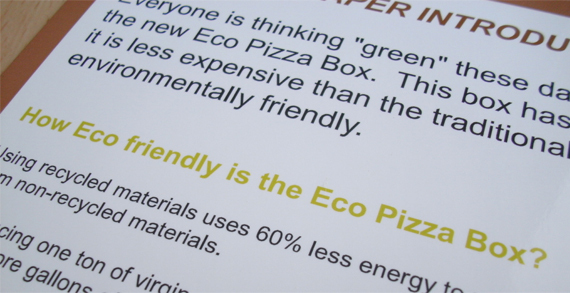 The leaflet was intended to act as an information point for potential buyers and suppliers who may be interested in packaging that would promote recycling and less waste.